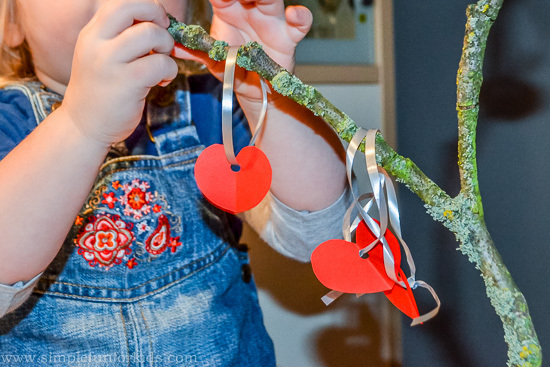 For this post, I dug really deep into my photo archives 😉 E and I made this Valentine’s tree five years ago, when she was only a little over two years old! 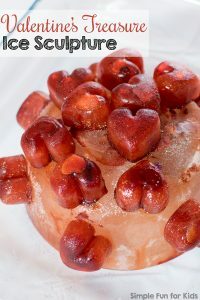 It was a nice little Valentine’s activity, though, and I didn’t want you to miss out on reading about it. 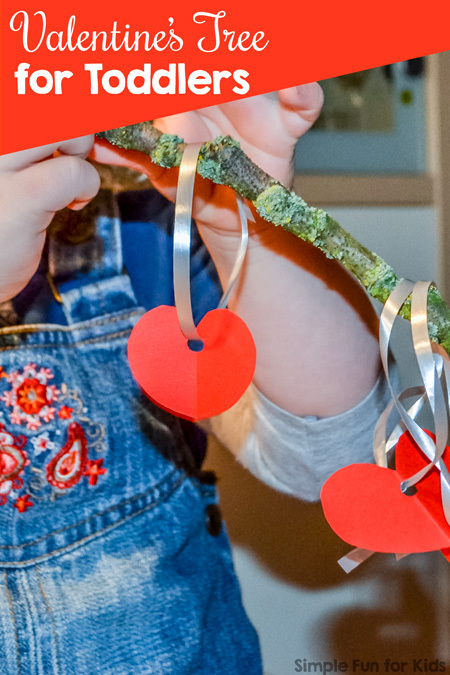 It was such a simple activity, but I really liked it as a quick Valentine’s Day decoration that came with lots of great fine motor practice! It’s just perfect for toddlers! 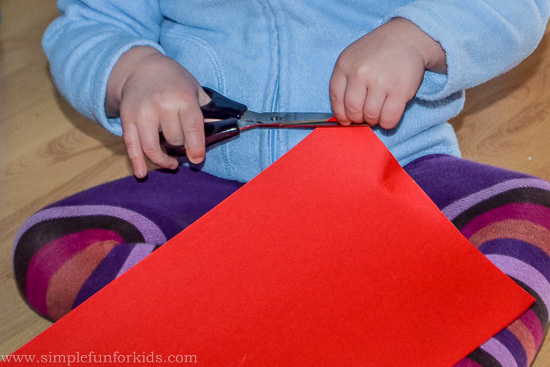 Construction paper in Valentine’s colors – we used red and purple. 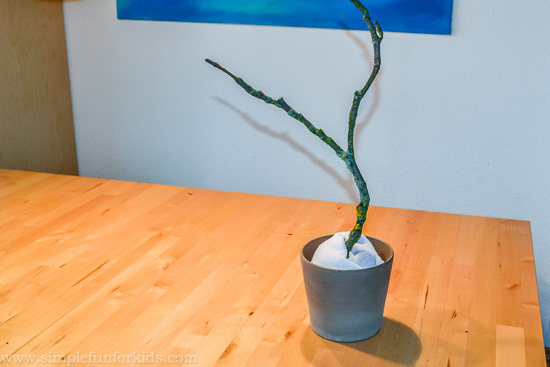 Flower pot or similar to hold the twig. I cut a bunch of hearts from construction paper. You could color and/or write on the hearts before hanging them up but we went for simplicity and left them blank. 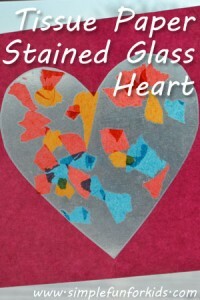 I then punched a hole in the top of each heart, and E threaded the ribbon through. 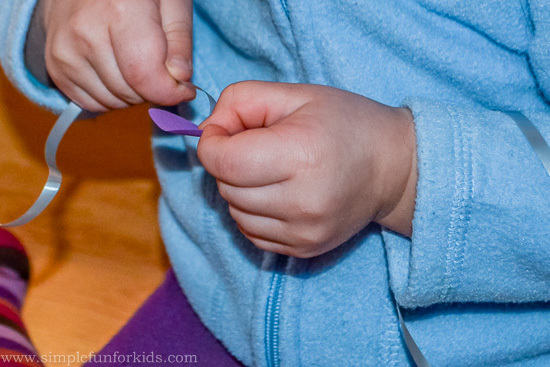 When she was done, she handed the hearts back to me to make a knot. 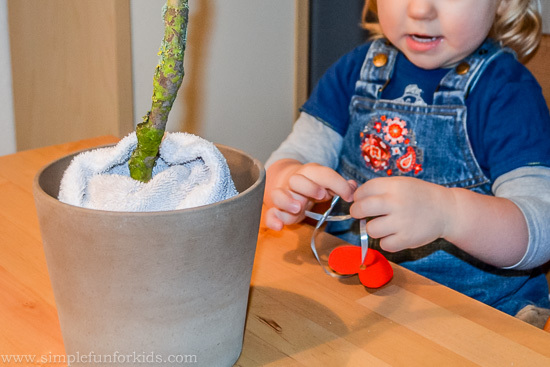 I “planted” the twig in a cachepot with the help of a small towel. I simply wrapped the towel around the base of the twig, and it did a great job holding it in place. After that, I just stepped back and let E decorate the Valentine’s tree however she wanted. 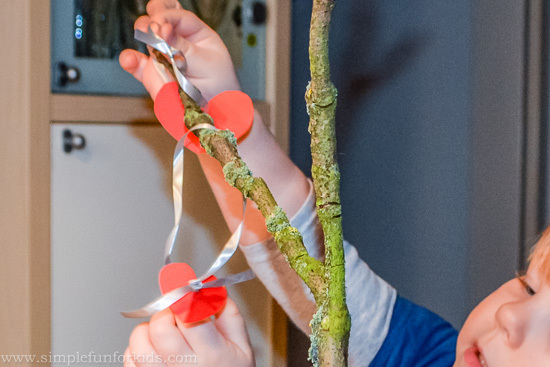 Have you made a Valentine’s tree before? 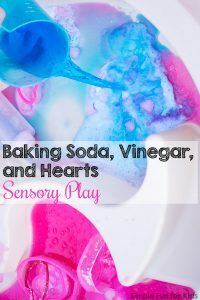 Leave a comment below and tell me all about it! In my book Match This! 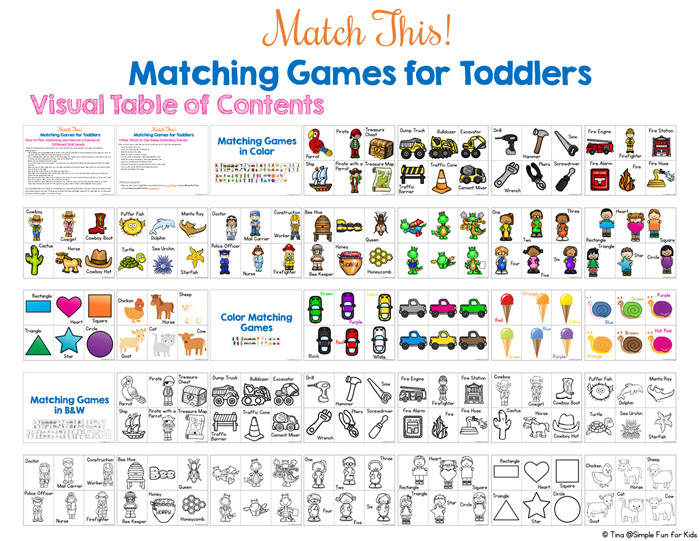 Matching Games for Toddlers, I share 30 different matching games that are perfect for toddlers with a limited number of matches (you can mix and match different sets for a greater challenge) and large cards that are easy to pick up and hold. 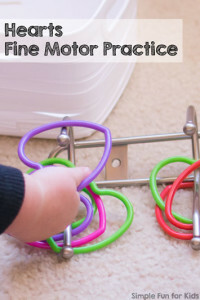 I’ve included instructions for playing memory and matching games at all skill levels and how to extend the activity with other learning objectives for older kids. 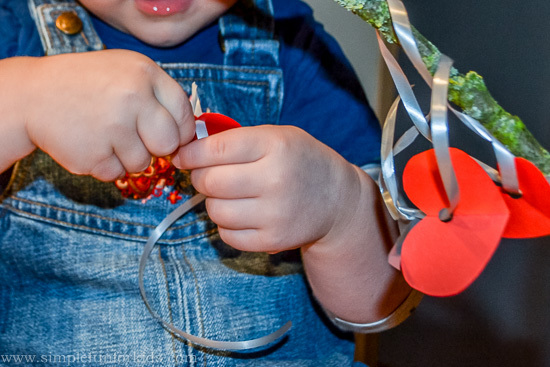 Looking for more simple Valentine’s activities for toddlers and preschoolers? Check out these!